Situated in three beautiful locations in districts 1, district 2 and 3, near the city’s top tourist attractions, Hum Vegetarian offers a cozy, elegant and calming atmosphere in which to enjoy delectable food. The food is prepared on site from various fresh beans, nuts, vegetables, flowers, and fruits. Simple and nutritious, the dishes are made using entirely natural ingredients by our chefs' attentive hands, resulting in creations that are not only flavoursome and aromatic, but also aesthetically beautiful. 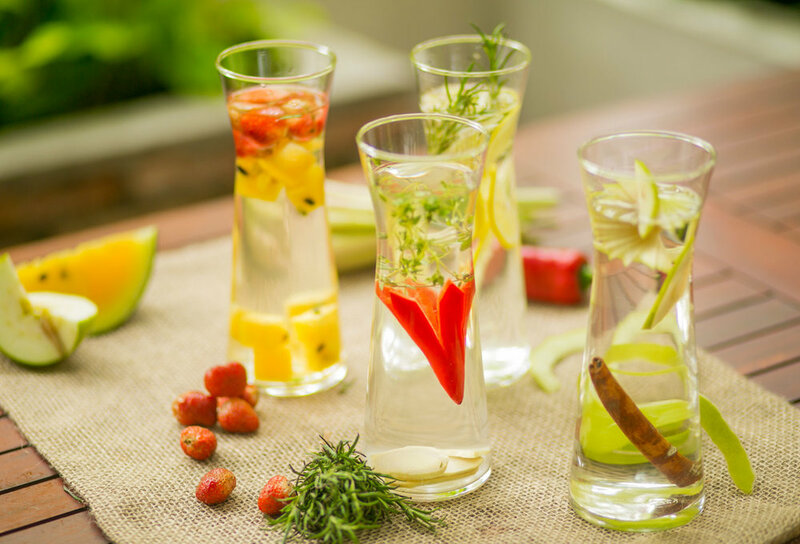 To complement that, our special drinks mixed from equally fresh ingredients are designed to provide optimum health benefits, while creatively pleasing one's eyes and gracefully quenching one's thirst, making them hard to forget. In addition to providing healthy vegetarian dishes in eye-catching decoration, Hum is an ideal venue for a friendly coffee or large gatherings, as well as for private or business meetings. Hum desires to contribute a more friendly and positive perspective towards vegetarianism. It is our belief that vegetarian food, that which is meticulously created with diverse sources of ingredients from nature, can provide the full nutrients we need while remaining interesting and delicious. Upon your visit at Hum, we hope you will appreciate that every day vegetarianism is not only entirely possible, but also appetising, creative, and fulfilling. We pride ourselves in the freshness and originality of our food and drinks. Reputable suppliers and qualified retailers provide us with a variety of fresh vegetables and ingredients. Our experienced and professionally innovative chefs prepare all of their dishes on site, without MSG, in staying true to our eco-friendly and health-centred principles. The rich, delectable flavours and aromas and health benefits of our culinary creations are thus true gifts of nature, made irresistible by our team. The word "Hum" originates from the Sanskrit mantra 'Om Mani Padme Hum,' which can be translated as 'Om, to the Jewel in the Lotus, Hum.' In Buddhism, the Lotus symbolises the altruistic mind of Enlightenment and also human compassion. Thus, to put simply, this mantra bears the meaning that bodhi mind (or bodhichitta) blooms in the hearts of the people. It is said that you should not seek for Buddhahood outside of yourself; the substances for the achievement of Buddhahood are within. At any time of the day, you can always find at Hum a corner of peacefulness for yourself to leisurely enjoy the precious gifts of nature. If you would like to book a table, please contact us.